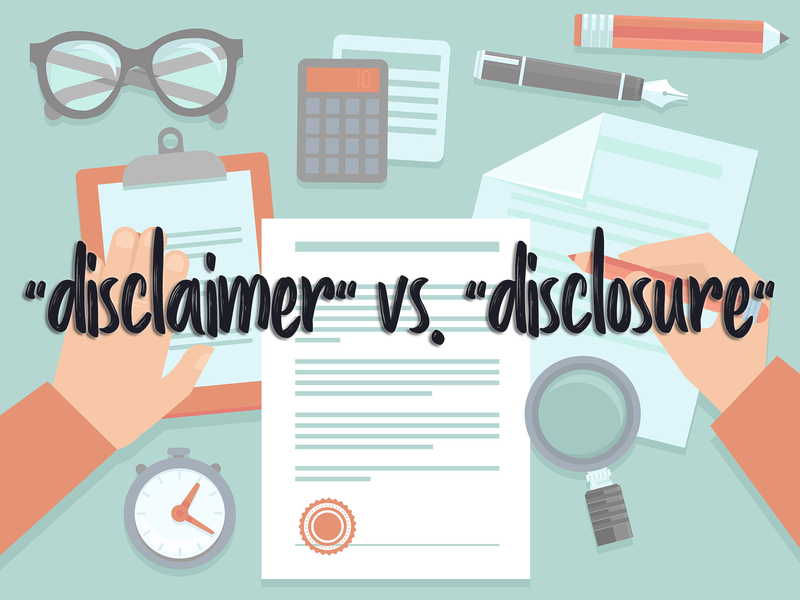 Disclaimer vs. disclosure is actually not that tricky once you get the hang of it. 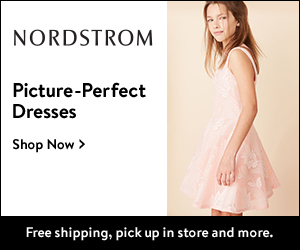 The FTC enforces several consumer protection laws, rules and regulations, particularly when it comes to bloggers and influencers online. In this space, we are often compensated with either free goods and/or services, and/or with money to review, summarize, endorse or promote. Additionally, publishers often utilize affiliate links so that if you, as the consumer, clicks on said link and buys something, that publisher earns a tiny commission. Either way, no matter how you are being rewarded for your content, if you are in fact being rewarded, you must tell your audience so that they understand exactly what they are paying for — literally and metaphorically. These activities benefit consumers as well as sellers, who expect and deserve the opportunity to compete in a marketplace free of deception and unfair practices. So make no mistake, the FTC is requiring you to DISCLOSE. They are requiring a DISCLOSURE. Not, as some may say too quickly, a DISCLAIMER. A disclosure provides a reader all necessary and relevant information regarding a purchase or promotion so they can make a well-informed decision. It’s “the fine print.” (And for all you publishers out there — because you might be wondering — keep this in mind: Disclosures that aren’t made until the end of your post when you’ve inserted affiliate or sponsored links in the content that comes before the disclosure may be construed as misleading.) 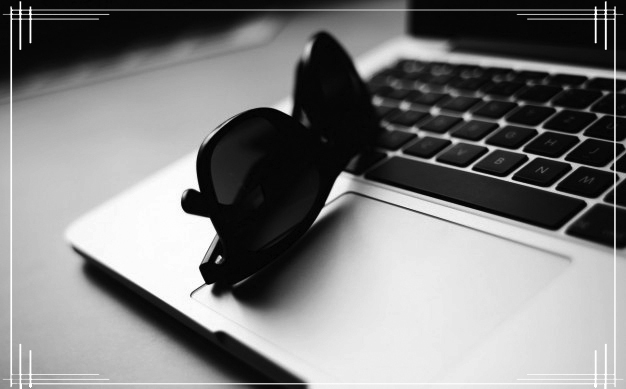 The FTC requires “clear and conspicuous” disclosures. What is a “disclaimer,” then? Disclaimer: I am not an attorney, I do not have a degree or expertise in law. I am providing the aforementioned and forthcoming information based on career experience and online research. I’ve seen a few disclaimers that even make me laugh. And I think that’s fine so long as it comes across that you are accountable for your accuracy, reliability and trustworthiness in the space. This website even has one — albeit a lazy one — I concocted on my own. I bring all this up because several times a week, whilst I read the many, many blogs of which I am a fan, I see these two words interchanged as if they are synonyms and I’m sorry, but that is just not the case. When you are giving away that $25 gift card to Olive Garden in exchange for a free meal for the whole fam, you’d better be disclosing that you enjoyed that comped meal. If you are, in turn, sending all the email addresses you collect in that giveaway back to Olive Garden for them to utilize in their marketing efforts moving forward, your website better have a disclaimer somewhere stating that you engage in that business practice. QUESTIONS? Feel free to ask in the comments. I’ll try to help but again, I am not a lawyer. I do highly recommend the intelligent attorneys at Hashtag Legal, the Law Office of Jamie Lieberman and Danielle Liss, who offer legal services for small businesses, social media professionals, & creatives. A very smart business to be in these days. And in addition, have at these resources below. FTC Disclosure for Affiliates: The Ultimate Guide from PrivacyPolicies.com.